One of the best ways to get to know CFHI is through the experiences of the students who attend our programs. Below is a story from Southern California student, Daniel Sarkissian. I am a third year neuroscience major at UCLA. I currently do clinical research at the Neuromodulation Division of the Semel Institute of Neuroscience and Human Behavior and volunteer at the UCLA hospital as a Care Extender. 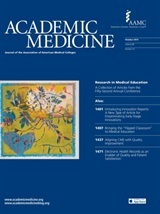 After graduation, I plan to take a gap year, during which I will apply to medical schools across the United States. Going into medicine has always been my life goal, and when my biology professor told me about this program and how I would gain valuable clinical exposure, I knew this was meant for me. I chose the Hospital Medicine program in Córdoba, Argentina because I wanted to gain clinical exposure shadowing surgical procedures and to explore the beautiful sight s in Argentina. 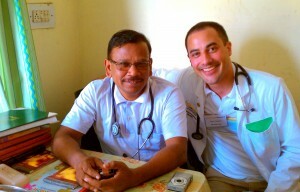 My experience of volunteering at the emergency room is what made me strive to attend this CFHI program, as I wanted to expand my knowledge of global health, how hospitals are run in other parts of the world, and to enhance my Spanish skills. 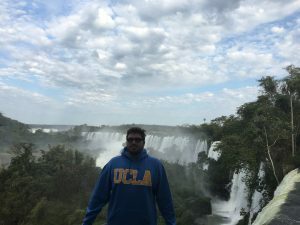 Southern California has a large population of Spanish speaking people, which is also why I chose to go to Argentina, as I would be forced to get out of my comfort zone and speak Spanish on a daily basis. When I first began volunteering at the emergency room at the local hospital in Glendale, CA, one of my notable experiences was translating Armenian, as that is my native language. Seeing this language barrier is also why I decided to go to Argentina, as I would improve my Spanish skills and have a larger outreach to people who do not speak English. The Spanish lessons, both the one on one and the group session, greatly improved my Spanish communication skills. My experience with the Hospital Medicine program in Córdoba was at the Hospital Pediatrico del Niño Jesus, where I gained experience in general pediatric care, surgical procedure, and radiology. I observed over 30 surgical procedures which taught me more about different disabilities and conditions while learning about human anatomy underlying each procedure. I departed Argentina with improved Spanish skills, a greater understanding of their healthcare system and a greater drive to pursue my medical career in surgery. The four weeks I spent in Córdoba were undoubtedly the most enlightening four weeks of my life. The general pediatrics unit taught me where to check with a stethoscope for various conditions. When I was shadowing surgeries, some doctors responded to questions and explained the procedure. After seeing all these surgeries and how big an impact each surgery has on the patients’ lives, it reinforced my ambition to become a surgeon. This experience also drove my lifelong ambition to work with Doctors Without Borders, to further broaden my understanding of other cultures and deliver healthcare to all of those who need it. 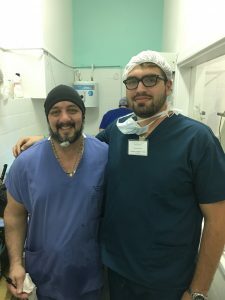 CFHI gave me the opportunity to fully immerse myself in the surgical field and this experience of learning medicine in a totally different culture is invaluable to my future. This entry was posted in Student Spotlight and tagged CFHI programs, students on March 23, 2017 by Keaton Andreas.